LeTourneau University biomedical engineering students Brooke Hayley and Natalie Dottle presented their scientific research at the annual conference of biomedical engineering society held in Atlanta, Georgia, recently. Hayley presented research from two studies. One was from her junior year last spring in her Biomedical Engineering Research II class taught by Dr. Ko Sasaki. 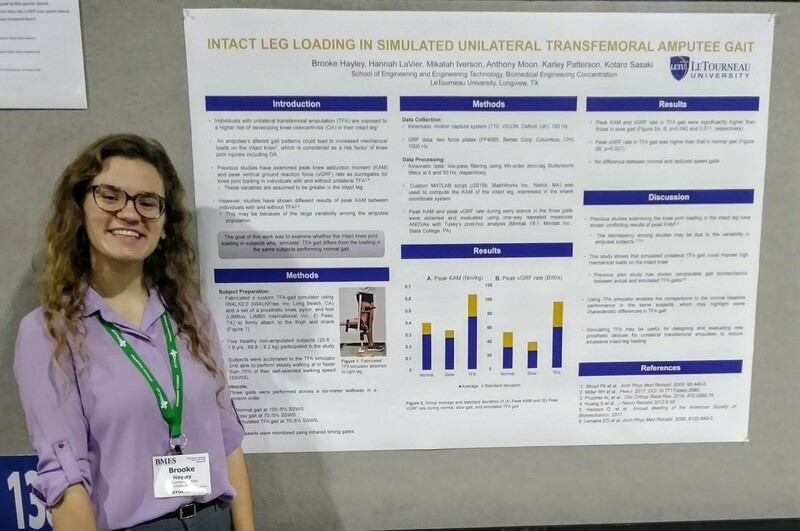 The research is titled “Intact Leg Loading in Simulated Unilateral Transfemoral Amputee Gait” and was coauthored by LETU students Hannah LaVier, Mikalah Iverson, Anthony Moon and Karley Patterson. The second presentation Hayley made was from her Research Experiences for Undergraduates (REU) program during the summer at a cellular biomechanics and mechanobiology lab at Worcester Polytechnic Institute in Worcester, Massachusetts. The title of her second presentation was “Combining Cyclic Stretch and Micro-contact Printing to Study the Mechanical Regulation of Apoptosis.” The National Science Foundation funds research opportunities through REU Sites program around the country. 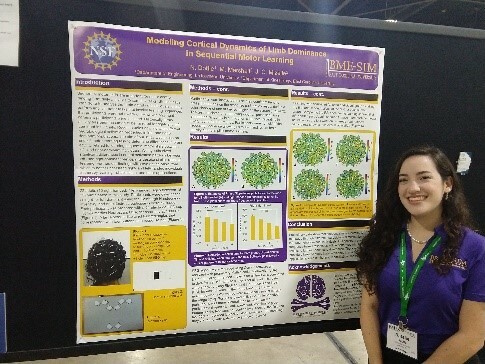 Dottle’s research was part of her work last summer in the Research Experiences for Undergraduates program at East Carolina University in Greenville, North Carolina. The title of her research is “Modeling Cortical Dynamics of Limb Dominance in Sequential Motor Learning.” It was coauthored by M. Marshall and J.C. Mizelle. With a degree in engineering with a biomedical concentration from LeTourneau University, you'll be equipped to find a fulfilling career in a dynamic, challenging environment right out of school.